INDIANAPOLIS (THE WIRE PRESS) – Set to award $100,000 in cash prizes, the Heartland Film Festival (Oct. 12-22, 2017) has expanded its number of cash-eligible award categories from 13 in 2016 to 33 for this year’s 26th annual event. Both feature-length and short films across the narrative, documentary and animated categories are invited to submit their titles for consideration during the 2017 call for entries period (February – May, 2017). The call for entries period opens one week after the Academy of Motion Picture Arts and Sciences announced its nominees for the 2017 Academy Awards®, including three short films from the 2016 Heartland Film Festival. *The Heartland Film Festival is a qualifying festival for the Annual Academy Awards® within the Short Films Category. This means that the winner of the Heartland Film Festival’s Grand Prize for Best Narrative Short Film will qualify for consideration in the Short Films category of the Annual Academy Awards® without the standard theatrical run, provided the film otherwise complies with the Academy rules. Among the record 2,535 films submitted to the 2016 Heartland Film Festival, three of the 138 programmed titles have been nominated for Academy Awards® by the Academy of Motion Picture Arts and Sciences. Additionally, five Truly Moving Picture Award-winning films (studio films honored by Heartland Film throughout the year) have been nominated for Academy Awards across 10 categories. Interested filmmakers can submit independent films now through the extended early June deadline to be considered for the 2017 Heartland Film Festival. 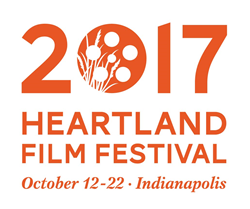 For a complete list of rules & regulations, film categories, submission fees, and deadlines, please visit heartlandfilmfestival.org. Heartland Film is a nonprofit arts organization founded in 1991 with the mission to inspire filmmakers and audiences through the transformative power of film. Heartland Film is a curator and supporter of purposeful filmmaking, honoring a wide variety of cinema and awarding storytellers from all over the world. The films Heartland Film selects and exhibits – whether they inspire and uplift, educate and inform, or have the ability to shift audiences’ perspectives on the world – all have one thing in common: they are entertaining films that do more than just entertain. Every October, the Heartland Film Festival gives its moviegoers access to more than 150 visiting independent filmmakers from all over the world, right in the heart of the Midwest. Heartland Film Festival showcases more than 130 entertaining movies that do much more than just entertain over 11 days of red carpet premieres and events, parties and hundreds of film screenings across Indianapolis. The Heartland Film Festival has earned the special designation of being a qualifying festival for the Annual Academy Awards® within the Short Films category. Each year, the Heartland Film Festival awards more than $100,000 in cash prizes and presents its Festival Awards to top-judged submissions. Heartland Film has awarded more than $3 million to support indie filmmakers over the last 25 years. Beyond the Heartland Film Festival, Heartland Film honors theatrically-released films that align with its mission via the Truly Moving Picture Award, inspires the next generation of filmmakers via the Heartland Film Institute, and exhibits films across Indiana all year long via the Heartland Film Roadshow. To learn more, visit heartlandfilm.org.